Hey everyone! 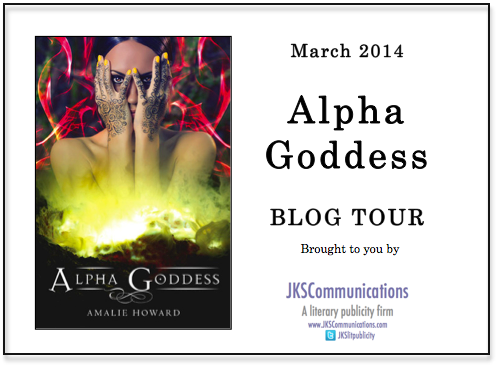 Welcome to my stop on The Alpha Goddess blog tour! I’m very excited to be a part of this blog tour! Amalie is amazing and I absolutely loved Alpha Goddess!! I hope you enjoy my review! Amalie Howard has done it again! With Alpha Goddess, she brings us an amazing, gorgeous story with vivid, detailed mythology, amzing characters and wonderful prose. Sera was an interesting character. She starts off disbelieving, craving to be normal. As is typical with Howard’s books, Sera was reluctant to accept her destiny. But over time, she grows and matures and accepts her destiny for what it is. She embraces who she is and who she is meant to be. I always love Howard’s MC’s because of these things – Because even when they start off reluctant, whiny and (sometimes) bratty, they always go through this incredible growth and transition and, in the end, do what they need to do. Kyle is amazing. I loved him from the very first time we were introduced to him. I loved his physical description and his personality. At times, his jealousy and uncontrolled anger got the best of him. At those times, he becomes slightly unlikeable but he, too goes through a lot and, in the end, we find out why he behaves that way. I think he learns the most about his life and his destiny and he almost goes through a bigger transition than even Sera. He has to fight who he is to be who he wants to be – and it’s an uphill battle and never easy. Dev was another amazing character. Howard always manages to write amazing and intriguing love triangles – ones where you find yourself loving both guys and wanting the main character to somehow end up with both guys. When Dev’s identity was revealed, it was no surprise. I had a feeling, very early on, about who he was. I was really pleased, though, when this was confirmed. But the other half of who he is – what he is – came as a shock. There was one moment where I truly feared for him, when I wasn’t sure what was going to happen… And, well, I don’t want to spoil it.. So.. I’ll leave it at that. Some other characters that I loved and who deserve a quick shout-outs include Micah, Nate and Beth. The end was an epic battle of epic proportions. As always, every time we thought something had happened, Howard pulled the rug out from under us and something else happened. There were several revelations, as well – one revelation after another. I don’t know how Howard does it, but you can never trust what you read until the very last page of the book. Just because something happened, it doesn’t mean it’s set in stone – I’m not sure if that was cryptic or gibberish, but I promise it’ll make sense when you read the book! Overall, Alpha Goddess was absolutely incredible. Though all of Howard’s books are amazing, Alpha Goddess was my absolute favorite. I’m a huge fan of Greek mythology and, lately, I’ve really enjoyed reading books with other mytholgies in them – such as Egyptian and, of course, Indian. Howard is an amazing storyteller and I look froward to reading many more books from her in the future! A rising star among young adult writers, Amalie Howard developed a loyal following after releasing her debut book, “Bloodspell,” in 2011. Now, she is returning with five new books that are sure to excite her devoted fans and catch the attention of new readers. A bookworm from the beginning, Howard grew up on a small island in the Caribbean with her nose buried in books. When she was just 13 years old, her poem “The Candle” was published in a University of Warwick journal, marking a sign of great things to come. Howard immersed herself into other cultures, globetrotting through 22 countries in North America, Europe, Asia and Australia. After moving to the United States, she earned a bachelor’s degree in international studies and French from Colby College in Maine. She also holds a certificate in French literature from the Ecole Normale Superieure in Paris, France. Traveling around the world, Howard has lent talents as a research assistant, marketing representative, freelance writer, teen speaker, blogger and global sales executive. Howard is a recipient of a Royal Commonwealth Society award, an international youth writing competition. 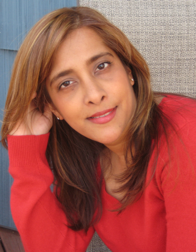 She is also a member of the Society of Children’s Book Writers and Illustrators. 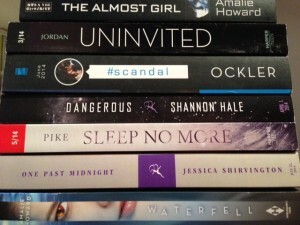 Howard’s first book, “Bloodspell” (June 2011, Langdon Street Press) earned rave reviews and was named a Seventeen Magazine Summer Beach Read. Readers will hear more from Howard as she releases a pair of two-book series, “Waterfell” (November 2013, Harlequin TEEN) and “The Almost Girl” (January 2014, Strange Chemistry), as well as “Alpha Goddess” (March 2014, Skyhorse/Sky Pony Press) over the next two years. Howard lives in New York with her husband, three children and one willful feline that she is convinced may have been a witch’s cat in a past life. I’m quite intrigued by this one, and I love Indian mythology! I think I really need to give this one a try, even with the love triangle! I highly recommend it! Let me know how it goes, if you give it a try!